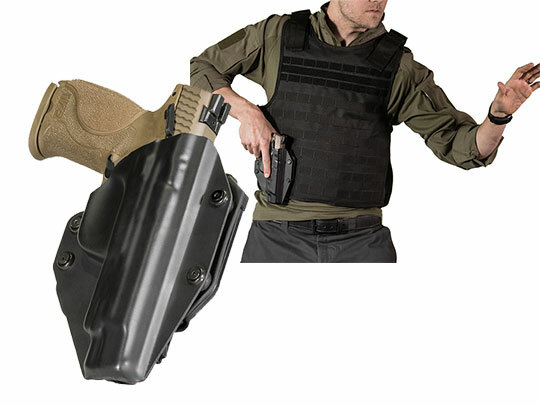 You might find options limited when searching for a Taurus PT840 holster. You might find that many holsters only offer a generic fit, "so so" retention and not the most comfortable carry. Looking into it further, you might find not everyone offers a holster for this firearm anymore so you either get the choice of having something custom made - which takes time and a lot of money - or being content with your lot. You absolutely CAN get a quality Taurus 840 gun holster. In fact, you can get one with a custom fit, adjustable retention and comfortable features. Alien Gear makes just such a holster, and in fact several. As to fit - we custom mold a retention shell from the actual gun, and mount it to the backing platform of your choice. 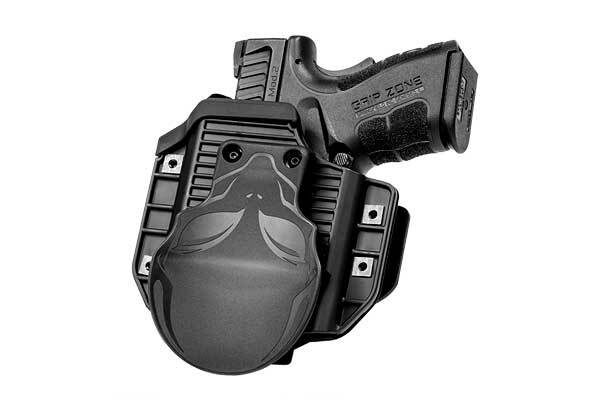 The hybrid holster design allows the buyer to get a quality fit and retention for less than a custom leather holster. 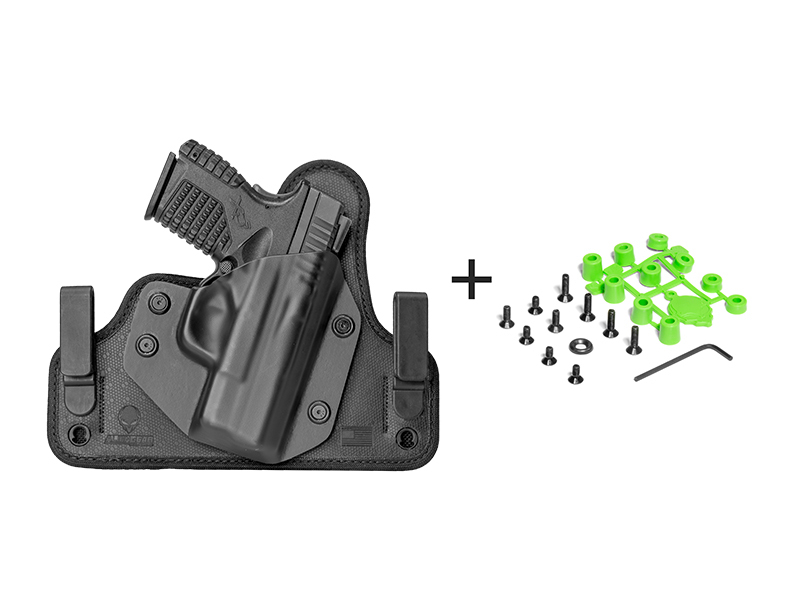 With a quality backer, you get the comfortable carry that you might not from generic hard plastic holsters that kind of hold anything because they don't specifically hold anything. You also don't have to rely on a thumb break; our holsters have adjustable retention that can safely retain any firearm. You also don't have to rely on how it carries out of the box; select models are adjustable for carry position. You choose how you want to carry - whether openly or with a Taurus PT840 concealed carry holster. 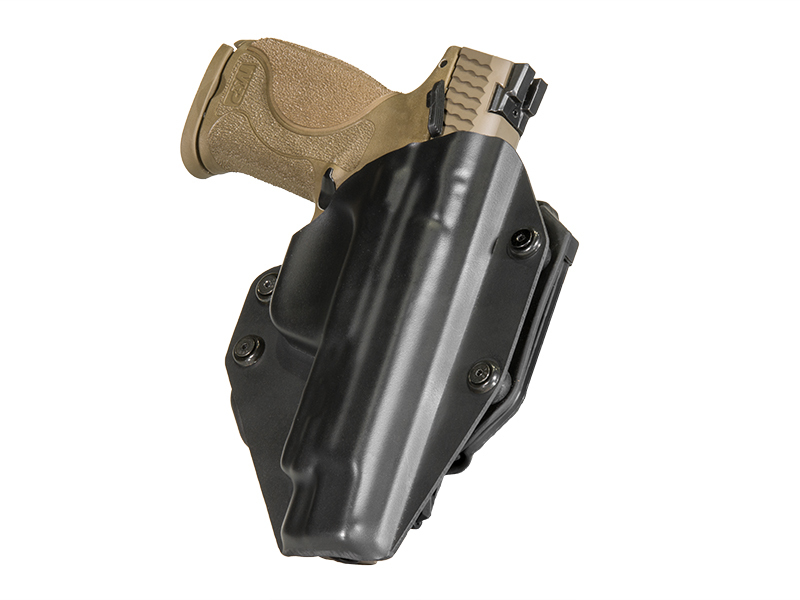 For daily concealment, a PT840 IWB holster is a wise choice, and our Cloak Tuck line is designed for exactly that. The Coak Tuck original, a classic leather hybrid holster, or the Cloak Tuck 3.0 - a thoroughly modern multi-layer design - tuck discreetly inside the waistband and carry in greater comfort than competing holsters. 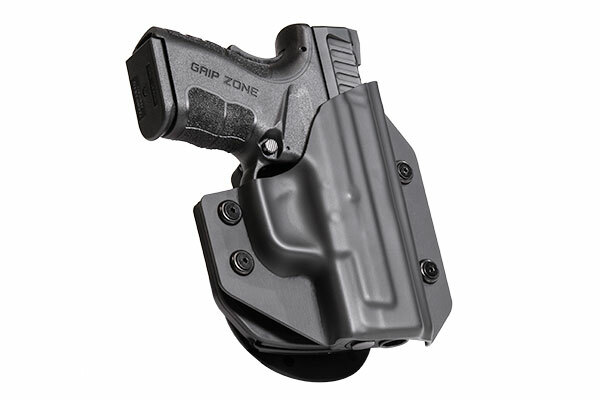 We also have OWB models available, such as the Cloak Mod Taurus PT840 paddle holster or the Cloak Slide OWB. We'll also give you a guarantee, as Alien Gear stands by our products. We give you the first 30 days to try out the holster, and if you aren't satisfied you can return it for a full refund in that time if not happy. You also can swap the retention shell at any time if you happen to trade your pistol in for a different gun; we'll send you the new shell and you can keep your holster. We also warranty your holster for life. Anything that goes wrong gets fixed or you get a brand new one. Why not treat yourself to a better carry?